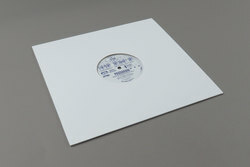 Passarani - Analog Fingerprints Vol​.​1. Vinyl EP. Bleep. Continuing Numbers’ excursion into Italo-house and Euro-disco (see their previous two releases, Peder Mannerfelt’s Equality Now and Bryan Kessler’s 10,000 Suns), the label comes through with a release from Italian club OG Marco Passarani. Nothing too radical here, just strong melodies and tight grooves that will sound great at two in the morning. Lead single ‘Wonky Wonky Wonky’ is an effervescent piece indebted to Giorgio Moroder and the Paradise Garage as well as more contemporary acts like Lindstrøm. A similar sense of playfulness is apparent on the remaining tracks ‘Quarto’ and ‘Tribalonios’, the former chewing over a booming bassline for seven minutes while the latter quickly settles into a playful, tango-flecked groove.